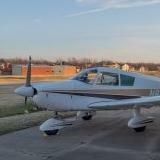 I have been looking at all of the major (and minor) websites looking for a PA-28 Cherokee or Archer. I am going to use it for earning my PPL followed by IR, and haul my wife and two kids on weekend trips, and solo fly or fly with one or two people. I have a list of things that I want in a plane. I had considered adding the updated Nav and ADS-B myself, as I have found planes in the $30,000-$40,000 range that need the Nav updates. The problem is that it seems that the planes that don't have those tend to be closer to 4or 5/10 on the inside or outside. I found the plane that I think I want, and I was hoping that you could tell me what you think. Based on the asking prices that I have seen in my research, it seems not to be too far off. The owner bought it for basically the same reason I did, but now he is relocating to the West Coast and doesn't want to take the plane. He sent me a link to a ton of photos. He did take a lot of close-ups too. I would put the interior and exterior at a 7-7.5/10 based on the pictures. Regularly flown and always hangared (He bought mid-2017 and has put just over 100 hours on it. All logs since new. He is digitizing them to send to me. I only have the last year right now. The owner also gave me the name and number of his CFI (Ron Hall) and A&P (Lonnie Ward) in TN. He has the airplane at Murfreesboro Airport. Mike Jones Aircraft is there, and he restores Navajos so I am going to call him to see about doing a pre-buy with avionics check. If that is all good, then either he will fly to me or I will fly to him to look at the plane and make a final decision. I have applied for a pre-approval at AOPA for a loan and requested an insurance quote. If I should check somewhere else as well, please let me know. From what I have read AOPA is pretty good in both those categories. Sorry for the long post. I like to be thorough. Just saw your post and just want to give you my personal experience,a s I just closed on an IFR capable 1964 PA-28-235 after close to 6 months of looking. Overall the plane you have posted looks good, I like the 2 G5's (Planning on getting those in my plane at some point in the next year) and that it has ADSB Out, leather seats, leds, and newer paint and from what it looks like from the description (As I there are no pics) a cosmetically nice plane. Oh and one last thing you mentioned a pre-buy, and I'm sure you have heard this before, but do not use the A&P that maintains the plane, get someone 100% independent and not related. Anyway happy to answer any other questions, so feel free to message me. Thanks Eric. I did misread on the GPS so I was thinking about trying to negotiate a substantial discount on the plane to account for having to add a unit later. I am not sure that I can get $20,000 off though. If I can't get at least half the cost off then I will keep looking. 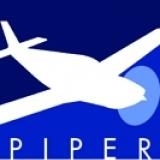 I have been given a recommendation of a Piper guy about 3 hours from the airport that the plane was kept at. If I can negotiate a good price, I was going to give him a call. Right now, I am still waiting on the logs. The seller is supposed to be scanning them to send to me. I'll PM you the details of my bird for reference. The 180s are great airplanes. And good on you for knowing your budget and what you want! $60K should get you there -- I've seen a few that match your specs sell in the last couple of weeks. Regarding this particular aircraft and pricing... I suppose it never hurts to ask, but I'd be real surprised if you were able to get the seller to knock $10k off the asking price based on the premise that the aircraft doesn't have a WAAS GPS. If anything, the airplane you listed has better avionics than the majority of the older Cherokee 180 fleet. It's a seller's market for single-engine fixed-gear piston airplanes right now, especially those with new fancy gadgets like dual G5s and a nice ADS-B transponder. Eric has some good advice above, to which I'll add this: Make sure you get a copy of the FAA aircraft records CD for any aircraft you're considering purchasing. The seller may say "no damage history" but he/she may not be telling the whole story (for a variety of reasons). Last edit: 3 months 3 weeks ago by Scott Kinney. Thanks, Scott. 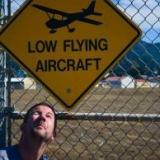 I agree with the FAA thing. I found that when I Googled how to look up plane records. I also found that I can look up the tail # and link to any NTSB reports for a plane. I found an accident on another plane that I was looking at that doesn't have any indication of it in the logs. This was a 65 plane, with the accident in 67.